This is not Emeritus Pope Benedict XVI performing Hajj in Mecca. 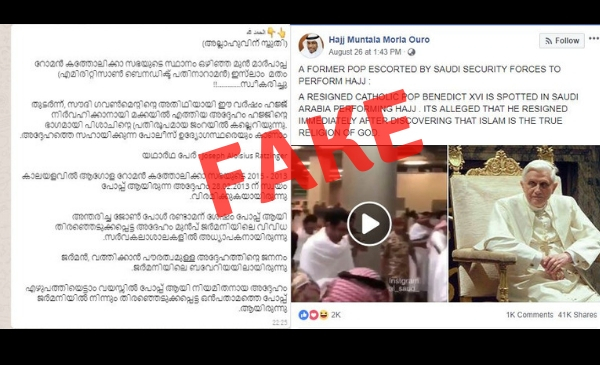 ‘Former Pope Benedict performed Hajj in Mecca’ claims this Malayalam WhatsApp message BOOM received on its helpline (770090611) for verification. The first part of the message loosely translates to, “The former Pope of the Roman Catholic Church has embraced Islam. Invited by the Saudi government to perform Hajj at Mecca, he was seen performing the ceremony of ‘Stoning the Devil’ at Jamarat. The Saudi police are seen helping him.” The rest of the message gives a brief of his life. 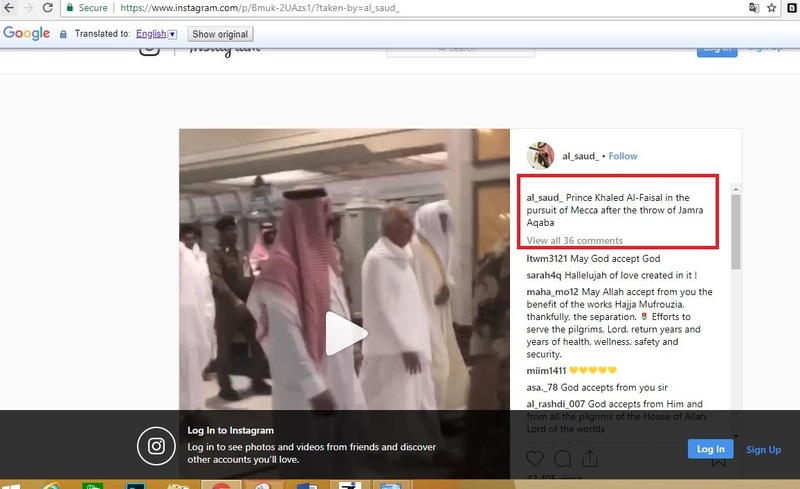 While this message was being widely shared on WhatsApp, a video was also going viral on Facebook (click here and here) which again claimed to show Emeritus Pope Benedict performing Hajj escorted by Saudi security forces. 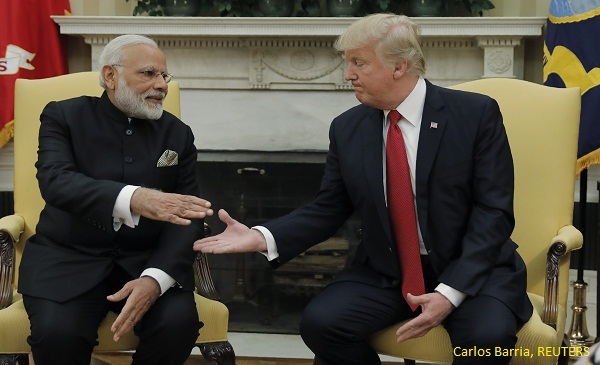 The posts also claimed that he had already embraced Islam. The video shows a man in white robes performing the ‘Stoning the Devil’ rites along with others. A factcheck by France 24 shows that the video was going viral globally since last week and that the person seen in the video is not the former Pope Benedict. If not the former Pope, then who is the person in the video? A close look at the video shows ‘Instgram: al_Saud_’ on a moving ticker. Upon searching for the account al_Saud_ on Instagram, we found the same video. The account’s bio shows that it is a ‘fan page of alsaud royal family’, which is the royal family of Saudi Arabia. The account has posted multiple videos of the same person on the same day with captions in Arabic. 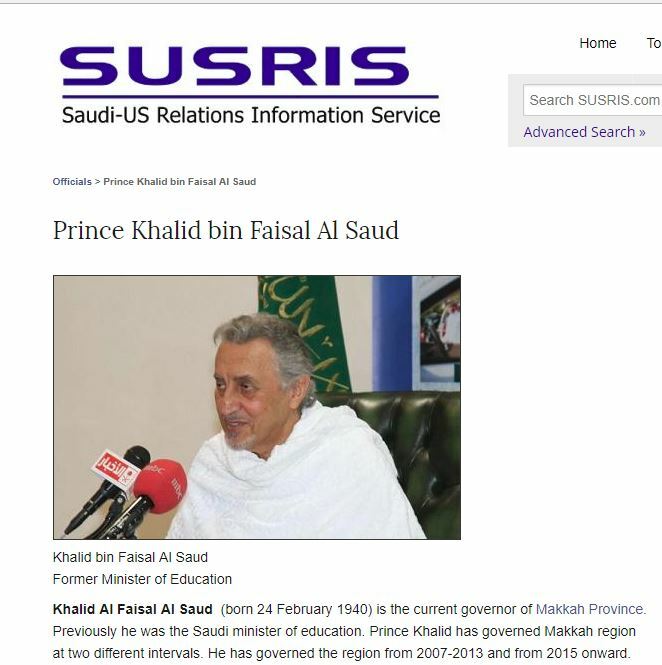 Using Google Translate tool, the following results indicated that the person is Prince Khalid Al Faisal. The second post says that the prince was “in the pursuit of Mecca after the throw of Jamra Aqaba”. ‘Stoning the devil‘ or throwing pebbles at the three pillars (jamarat) representing the devil is one the major rituals of the Hajj pilgrimage. Millions of Muslims around the world pursue the annual pilgrimage in the holy city of Mecca. This year the Hajj pilgrimage was held between August 19 -24. BOOM did a google search on Prince Khalid Al Faisal to find other images. 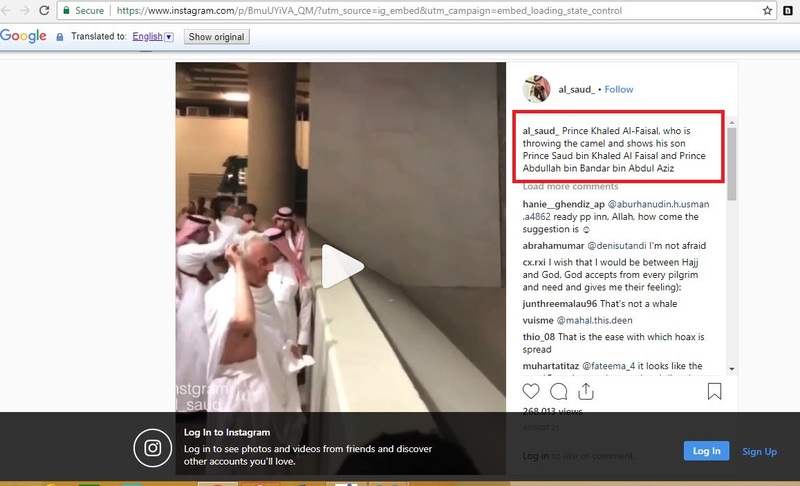 And, images from several websites including the Saudi-US Relations Information Service shows the person in the video is indeed Prince Khalid Al Faisal (click here and here for more). He is the current governor of the Makkah Province and the former Minister of Education. With regards to the former pope converting to Islam, it is highly unlikely that the global media would miss such an event which has the potential to create unrest among the Catholic community across the world. After spending eight years as the head of the Catholic Church and sovereign of the Vatican City State, Pope Benedict XVI resigned in 2013. In doing so, Pope Benedict XVI became the first pontiff in 600 years to abdicate the papacy. He currently lives a life of seclusion in a Vatican City monastery.